According to contracts and agreements, payments are due on the 15th and 28th of each month. For the past year and more, the college has not met this deadline and the President has been forced to advise the college staff via Emails that salaries will be late. The H. Lavity Stoutt Community College is dependent on Central Government for a subvention and because the ruling National Democratic Party (NDP) has, according to the Opposition and others, left the country broke it has been difficult to meet subvention obligations. The November 28, 2016 salary payment is late again. 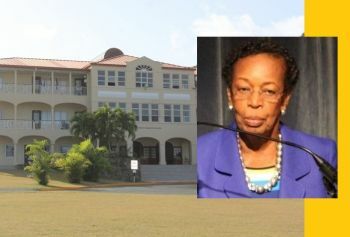 An Email to the staff today November 29, 2016 at 5:01 P.M. from the acting President Dr Janet B. Smith assured that “all employees should receive their paychecks tomorrow." Many have continued to criticise the NDP government for their lack of spending priorities. The college, which is under the Ministry of Education and Culture, is reported to not be given adequate funding. 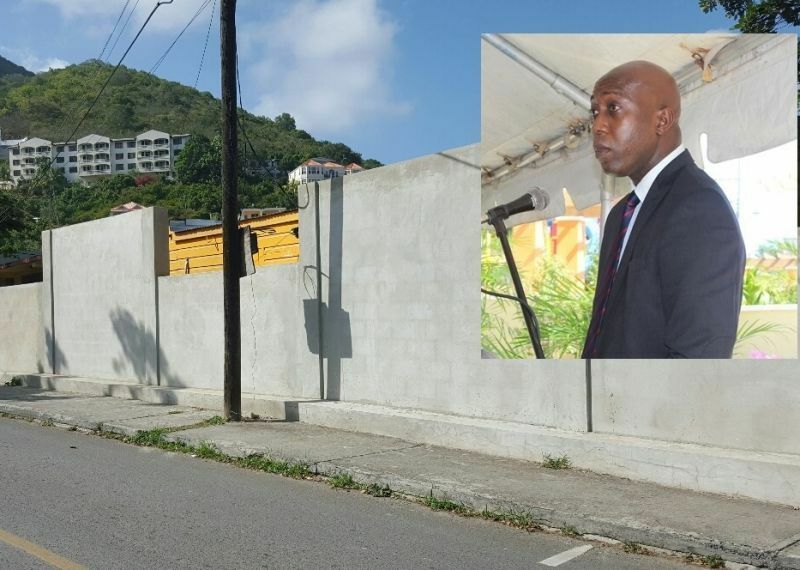 Many have said that the one million plus dollars spent by the controversial Minister for Education and Culture Hon Myron V. Walwyn (AL) to build a small wall around the Elmore Stoutt High School in Road Town just before the 2015 snap election could have been better used to support the college. Things to talk. NDP has really let us down. An ongoing nightmare we can believe in. @student- You are right. Nothing new to report here, this nightmare is ongoing. How can the college function effectively with the uncertainty . Morale must be an unhealthy and devastatingly low level that will adversely impact services. Perhaps the college needs some structural adjustments. It looks like government cannot afford to meet its financial commitments, due financial challenges. Every dollar given to the college will result in a reduction in some other programme. Perhaps the government needs to reexamine the free tuition for locals. Tuition exemption and reduction should be means tested. The only thing worse than having limited education is not having any. An educated nation is in the nationalist interest. Thus, the cost of acquiring that education should be a shared between student and institution to the maximum extent practical. You sound so socialist you could influence the ruling NDP party. The problem with giving things away is that they are not appreciated. Students should have to pay some tuition. $330 million budget and this sh--? get your priorities str8. even the dogs in the ditch know this part of gov. is the one that may take bvi society into 1st world. Crooked M........has everyone at college from hand to mouth and he is from government cookie jar to his bank account. He and NDP must go! Man just expect payment every 30th of the month and not the 28th What wrong with ayo?. Payment aint late. Will they be paid before xmas? Ah bet she done geh hers? How much money does the college collect a semester from students? Is the government subsidizing non Virginislanders as well? We need to know what is happening. Give us an idea of the salary range. Looks like Dr Dawson left the place broke! The young ones who want to be in charge don't know their head from their foot. All they interested in is the high position and power. No money for salaries. They not fixing the mold. The classrooms hot. No money for paper. But there is money for a security company, a guard post, to fix the presidential suite. Dr. Dawson ain't leave the college broke. Ask the one in the photo where the money gone and how she spent it since she come. All I have to say is Hmmmmmm. December coming up but it looks like it will be a brown Christmas for those at the college. I will do like Kermit and sit back and sip on my tea cause trust me the fire works ain't start yet. Because they getting paid on the 30th rather than the 28th that's a Big problem. Wow! I don't see how that could be the worse things ever and to also hit the news. It is a problem. Do you work at HLSCC and have your financial obligations tied to dates that institutions are expecting payment? No or you wouldn't have written such a comment. If you tell people they will be paid on a certain day they expect to be paid then. If you know you can't pay when you say then tell people from the jump and not at the eleventh hour. Cha! The sad thing is no one said anything on the 28. Staff have obligations to be met even if they are not paid on time. The President is busy trying to cut staff vacation days without consulting them, employees are working in moldy, hot and humid conditions and without adequate resources to do thier jobs. She has yet to say how she is going to address the fisal problems of HLSCC. Just like there's an expectation to be to work on time there's also an expectation to be paid on time. Bigger question here is what does their contract say? It is one thing to offer expectations regarding payment earlier than the 30th, however, what does their contract say as per the payment as it pertains to the Labour Code, thank you. Their own hand book says the 28th. And you're right as there are implications with the labour code. She don't care though. She have an American mentality and withe her attitude the college, government and ultimately the tax payers will pay for her Americanized views. Tell her little cronies to talk that since they like to talk pi$$. This person clearly works at the College. And seems to have selective memory. The troubles started before change in President. So don't be going on like the she you are talking about cause the problem. Sit and think about it. The root of the problem is decisions being made at the Government level. Everyone knows that is where the college operation funds come from. We don't have selective memory as you clearly work at the college as well. The college been having problems. They have escalated since this a$$ come and wont get better... She claims to be all knowing and she herself don't know her head from her big to. Tell me how you feel when you don't get pay come December 15th and 28th. Talk that Really now cause you in her camp and you too needs to go bye bye. The employees are still the mercy of a cruel dictator. The worst part of the story is that nobody cares what happens to OUR college. The best people will soon be leaving just wait you will hear. Vino can you confirm if the monies were not available to the college or if the college admin was late in performing their duties in making sure the deposit is sent to the bank on time? Confirm the process please so that we can cast blame appropriately. "Where there's no vision the College will Perish" The visionary leader left us too soon ,we can't get it together yet ,where in the world you can get college education for free? Can we go to UVI for FREE?NDP broke it so they should fix it ,they were looking votes but now it is coming back to haunt them..A Set of STUPID Smart Business MEN..End OF Qoute..What they are doing is Killing everything that is a benefit to the public and enriching themselves,it's real sad BVI Republicans.."NDP"
Where is ileen s parsons in all this ? Bi-Water or whoever they are now taking all the money Thanks to Fraser pushing the contract so nobody else can get paid.